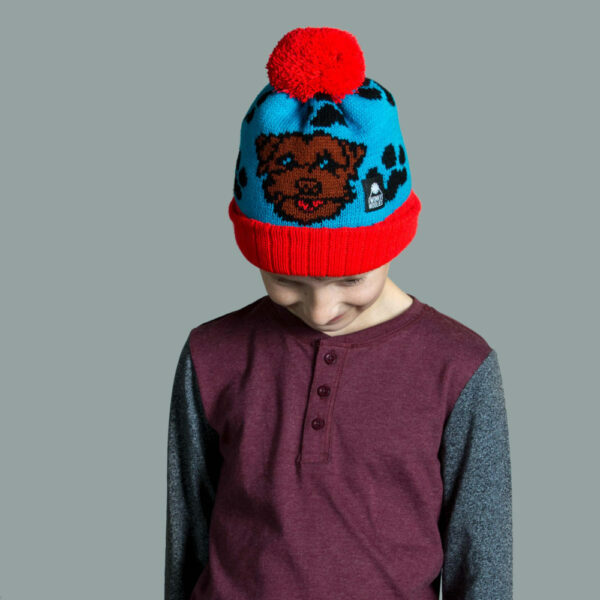 We’ve got a little Border Terrier called Ruaridh Dog, as he’s such an important part of team wonky we couldn’t leave him out of our new range! Made with bold red and turquoise the base colours of this hat stand out bold and loud. 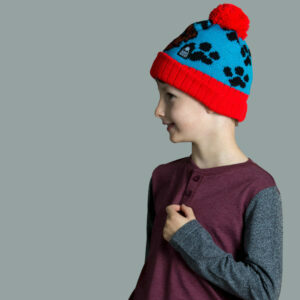 A bright red pompom tops it off, which is easily spotted when out and about. 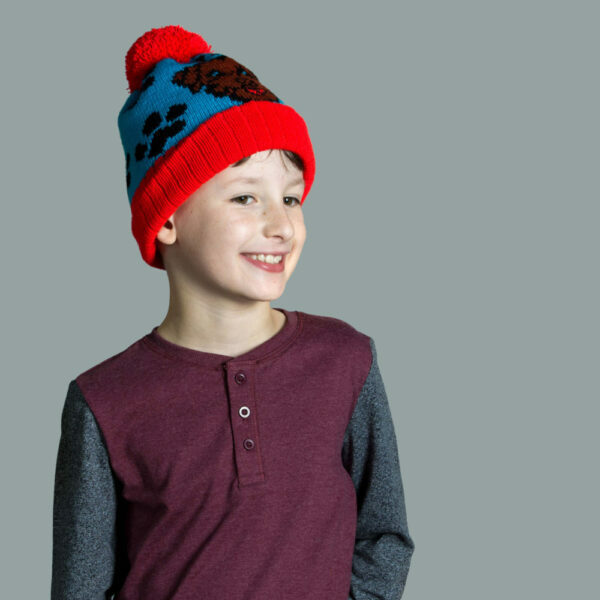 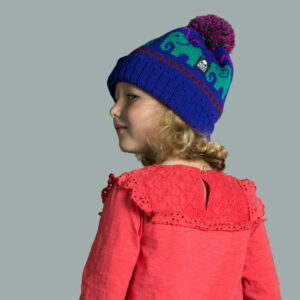 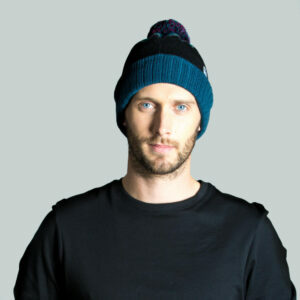 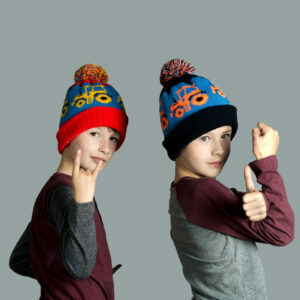 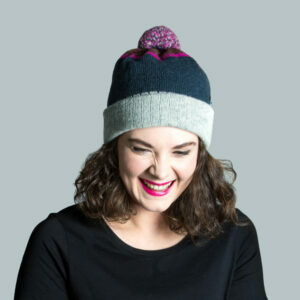 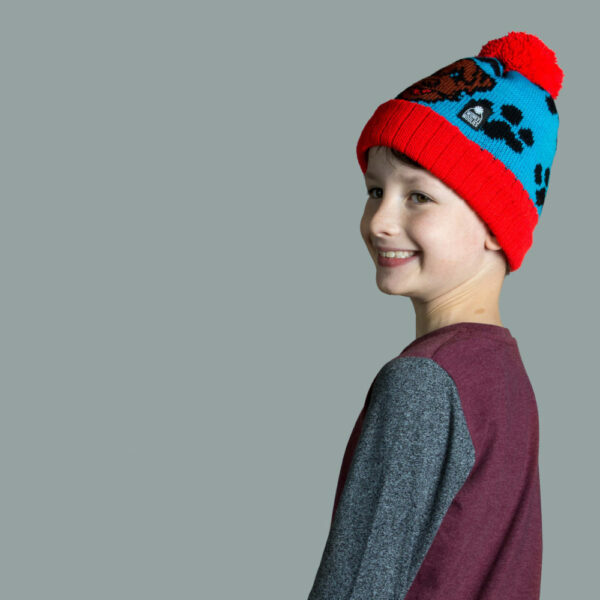 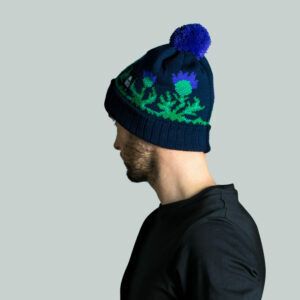 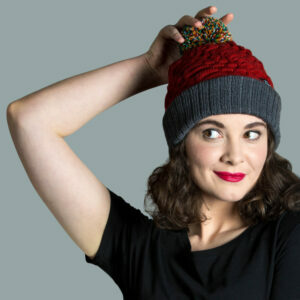 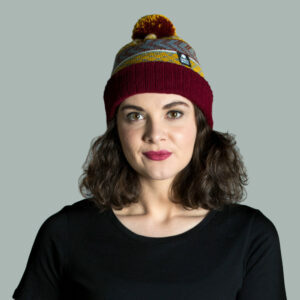 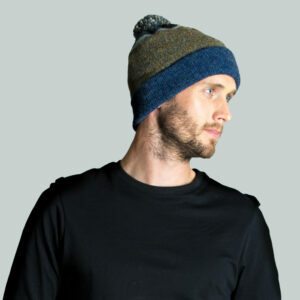 R-dog’s happy face and pawprints make up the full design on this bobble hat which makes for a cute animal theme design.